A lake for you and just for you! Located in Ligny-en-Brionnais, in the Charolais-Brionnais region, the Aquadev venue is 60 miles North-West from Lyon and 35 miles West from Mâcon. 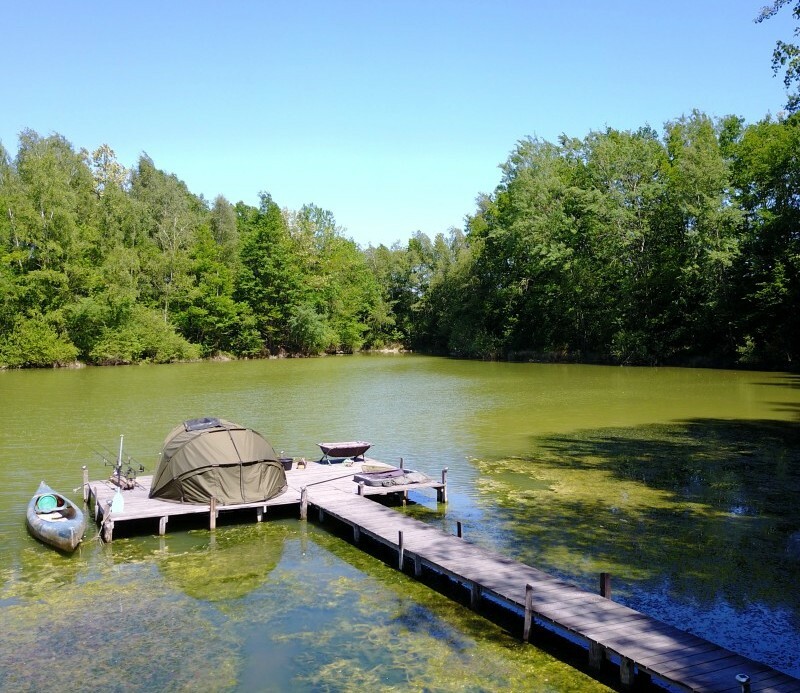 The 6.2 acre lake lies within 11.5 acre of woodland. 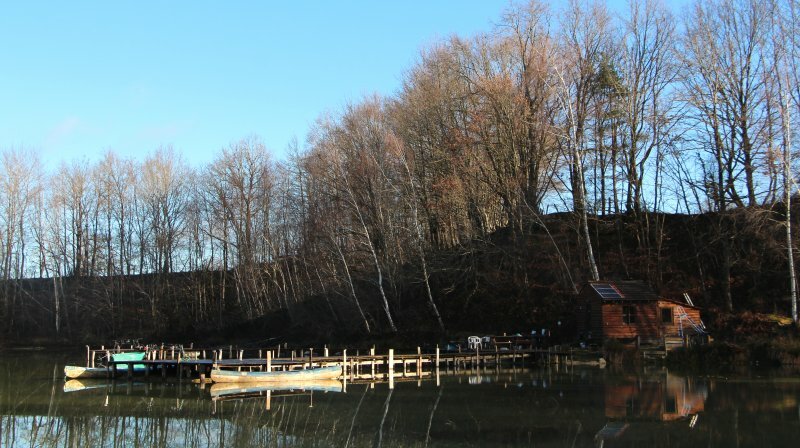 There is an easy access to a very private and secluded lake. Night fishing is allowed, rowing boats are provided. Barbecues are also allowed and so are dogs but they must be kept under control at all times. This tranquil lake holds a large density of carp from 6kg to 22kg. Also present are black-bass and sturgeons. The lake can be booked on a exclusive use for your stay. several shelves for equipment, clothess, food, ... with table and chairs. A large reception mat and two preservation bags for next day pictures have been recently added. Finally, a possibility to fish carnivorous species (pike, black-bass, ..) is offered at no extra cost. Have a good visit on this Web site! New pictures are available in the site pages.